Philadelphia — founded in 1682 by William Penn — is the oldest city in Pennsylvania. 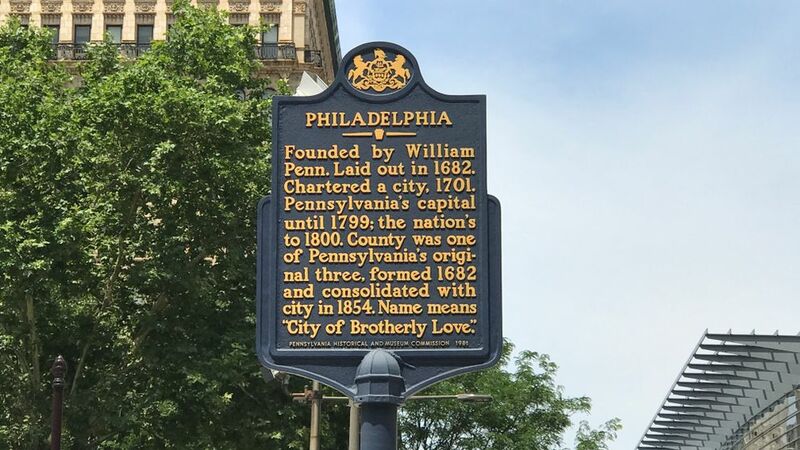 So when it comes to documenting the state’s history, in the form of the famous blue and yellow plaques erected by the Pennsylvania Historical & Museum Commission that you see everywhere, it’s fair to say we have something of a built-in advantage over our peer cities — more time existing equals more eligible history! That’s of course not the only reason that explains why Philadelphia County has more than two times as many PHMC markers — 318 in total — as any other county in the state. The other part is that, you know, a lot of stuff happened here, what with the whole founding of the United States thing, the signing of the Constitution, etc.